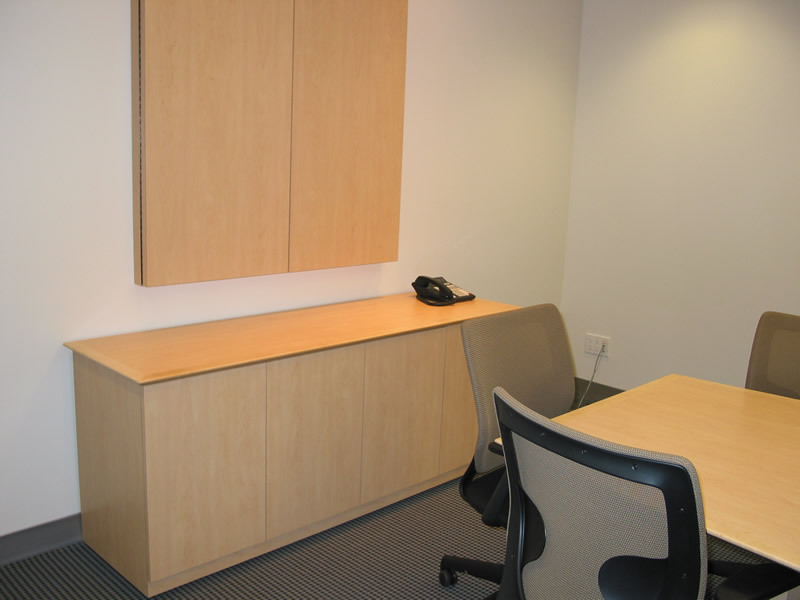 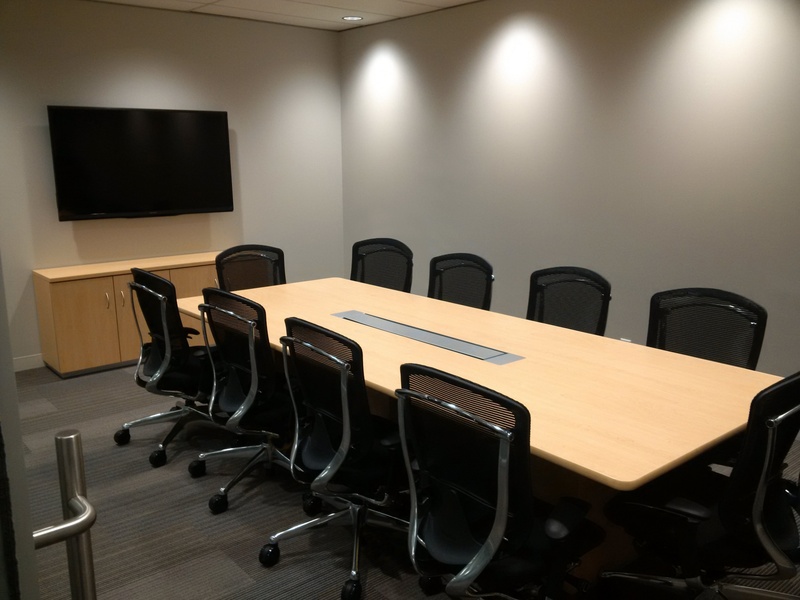 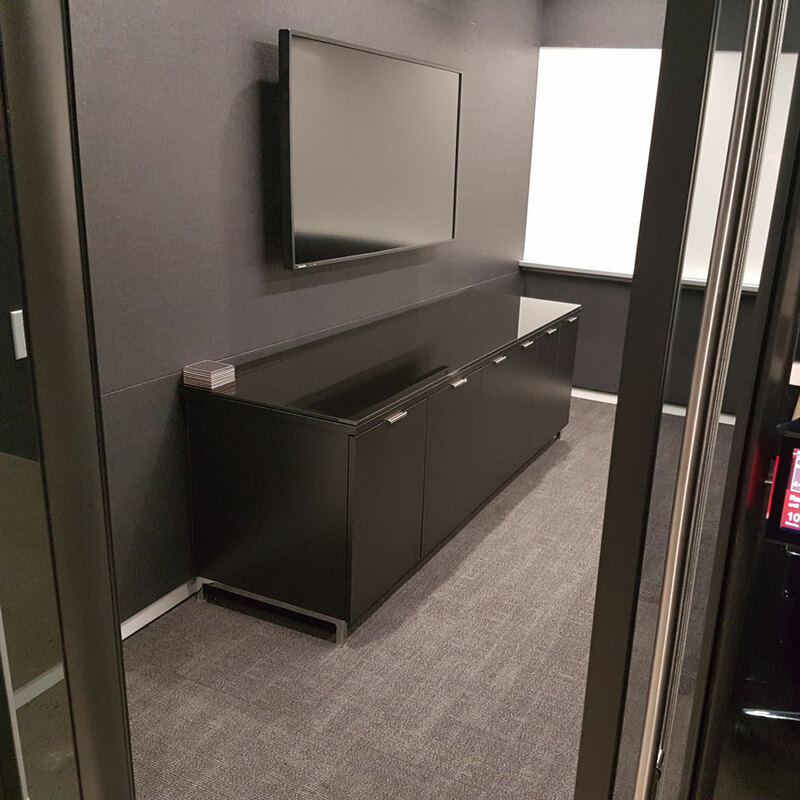 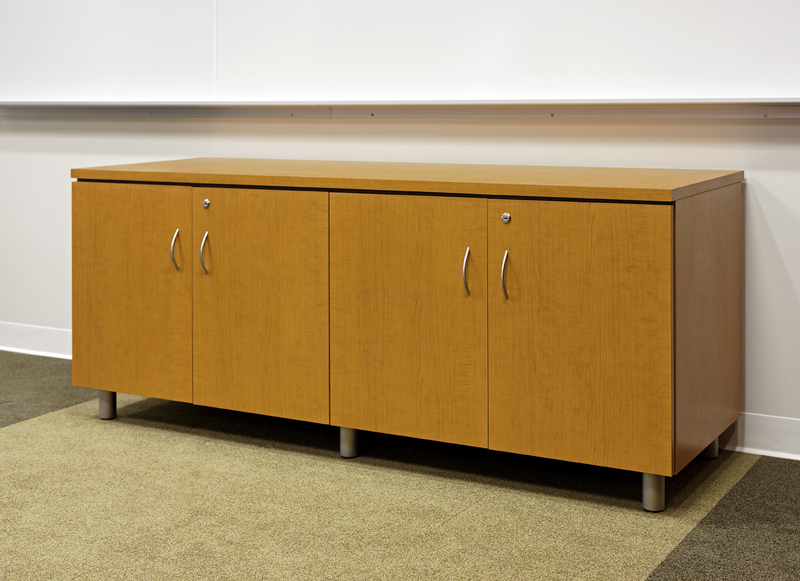 Credenzas add storage to your boardroom, conference or meeting room. 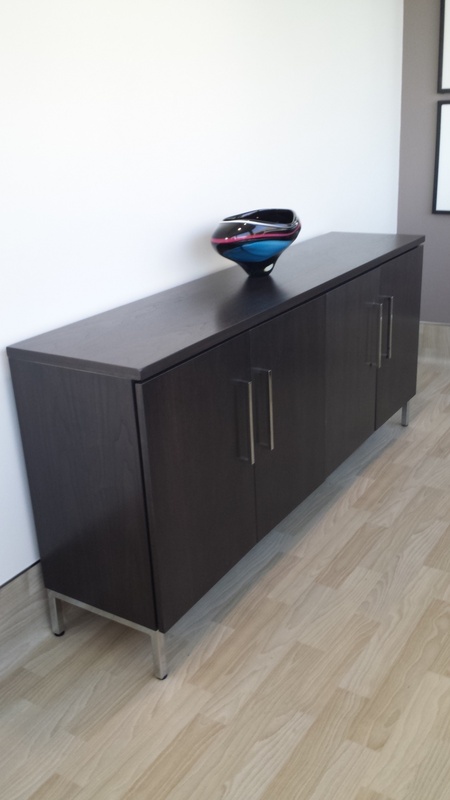 Credenzas are available in laminate or veneer, with handles or touch latch doors, with 2" Kickplate or 1" x 1" Square Steel Tube Base. 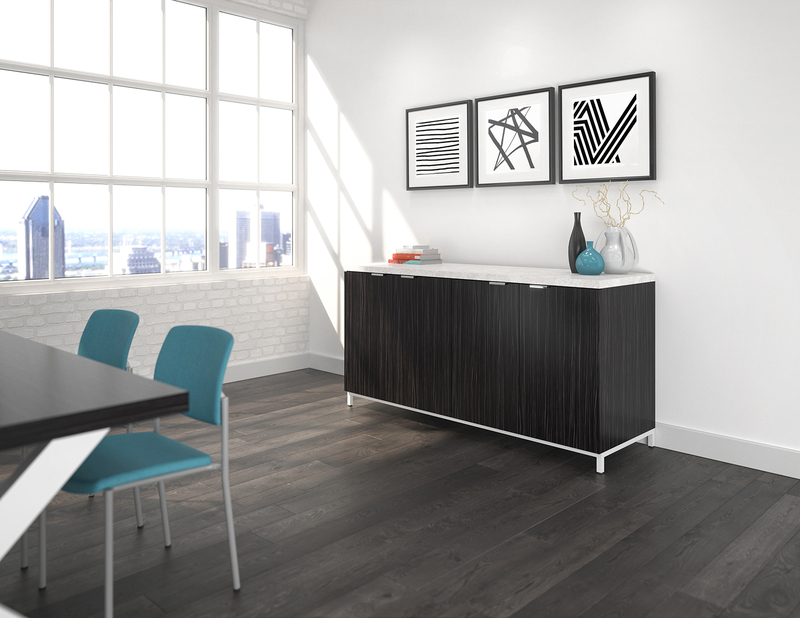 2, 3 and 4 door options are available, with or without drawers. 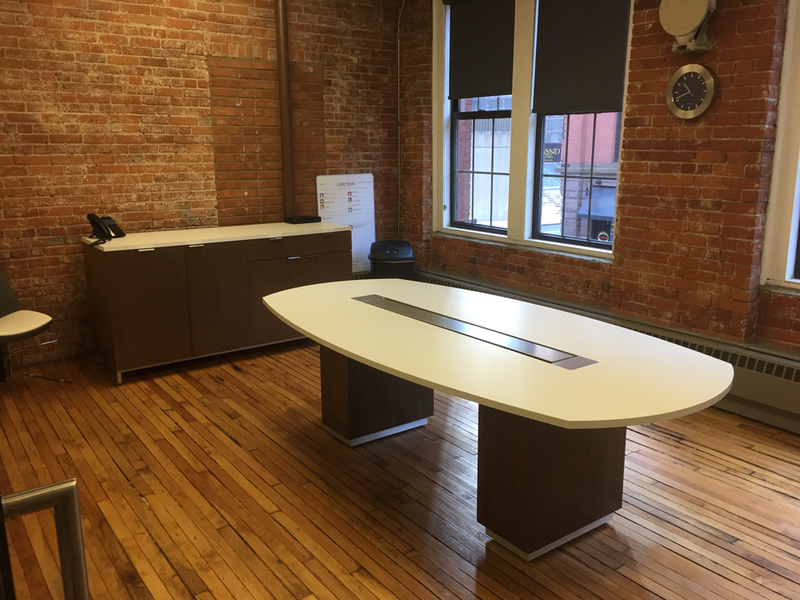 Corian top is optional. 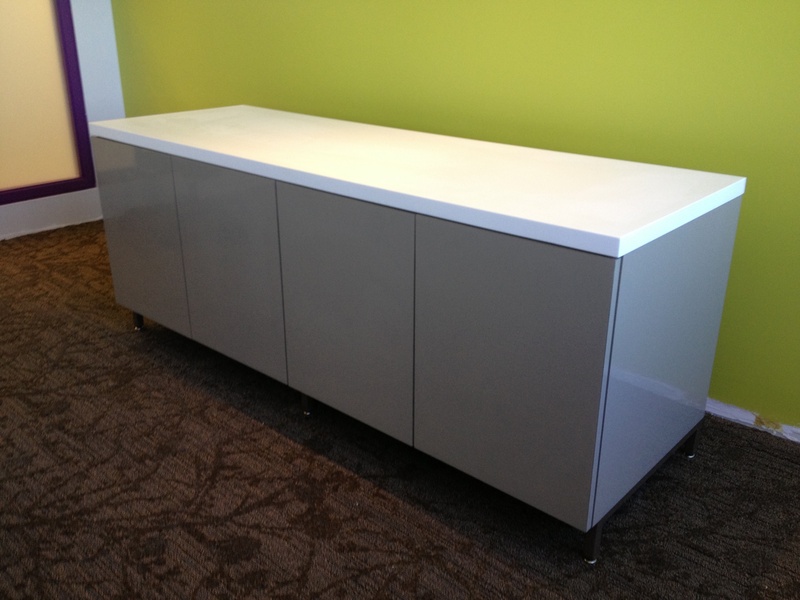 For custom sizes and drawer configurations, call for pricing.